These 3' wide standard assemblies include all of the parts you need to hold up a dock section. 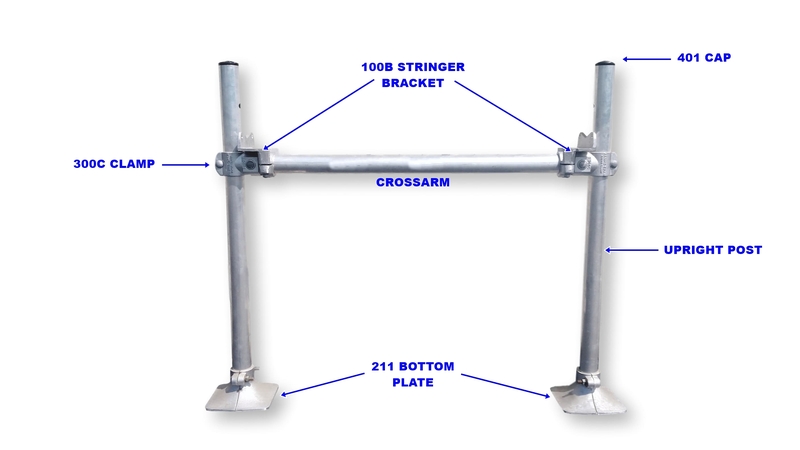 They include aluminum dock post, crossarms, post caps, bottom plates or augers, and stringer brackets. All parts come with hot dipped galvanized hardware. Individual parts are available if you do not need the whole set up. Please specify if you would like bottom plates or augers. A strait out dock will need one of these for each section. The sections share the standard assembly. This keeps everything tied together.